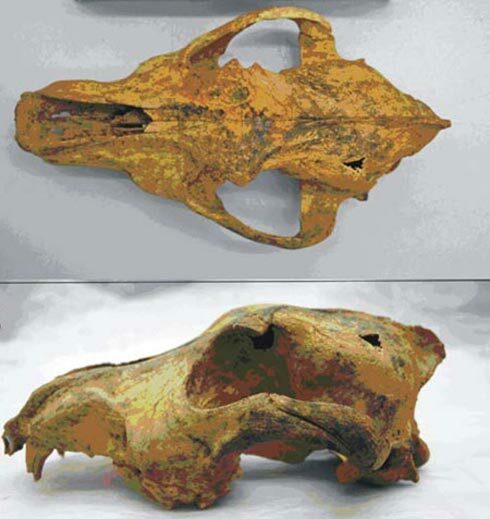 Domestication of Dogs Gets Pushed Back to 33,000 Years Ago? There are many lines of evidence that suggest there was not a single domestication event in the shared history of men and dogs. It most likely happened several times and in several locations. Even the time line for the gradual conversion of the wolf into the dog seems to shift as new evidence arises. An estimate of 12-14,000 years was common in the recent literature but now the discovery of a pair of skulls in Siberia and Belgium could be proof that we need to more than double that figure. Read the full story here at The Week.